Electro-Metrics Corporation has an ISO 9001 certified full service machine shop. We can produce sophisticated machined parts in quantities ranging from a single piece, to full production runs of thousands of pieces. Electro-Metrics has, and continues to invest in CNC Turning Centers, Bar Feeders, Machining Centers, Lathes, and other machine tools. Our equipment utilizes the latest technologies and software to process raw materials into finished product with high precision and speed. All operations are conducted by highly skilled machinists and technicians under the watchful eye of an ISO 9001 certified quality management system. 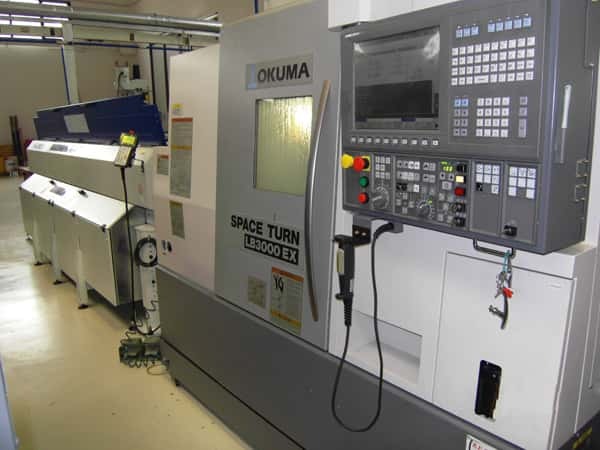 Let us provide you with a quotation to produce machined parts for your needs!